The NSW CFA is one of the largest and most active Feline Registering Bodies in the Southern Hemisphere with a professional administration office processing thousands of registrations each year. Our Affiliated Clubs ensure dozens of Championship Shows for members to showcase their breed. 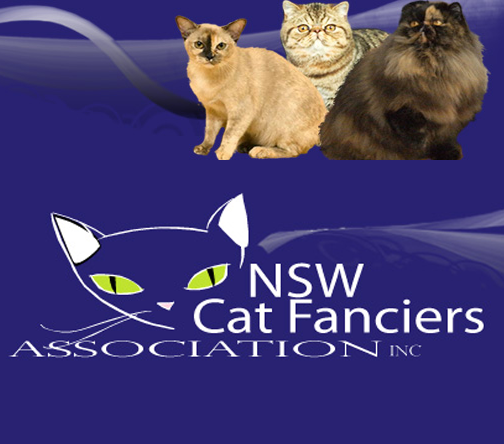 The NSW CFA is a founding member of the Coordinating Cat Council of Australia, one of the two umbrella national recommendation bodies in Australia. Our NSWCFA members who also breed pedigree cats are bound to abide by the Code of Ethics as well as NSW State legislation. This means your kitten will leave to its new home no earlier than 10 weeks of age and will be micro-chipped and vaccinated. For more information please visit our website and see our facebook page.